Best UV Products for Tennis Players: Here Comes the Sun! When the Beatles sing, “Here Comes the Sun,” it sounds so blissful and carefree. But when your dermatologist says it, she probably uses a different tone. May is Melanoma Awareness Month, so Tennis Express is taking this opportunity to share some products that could be lifesavers. 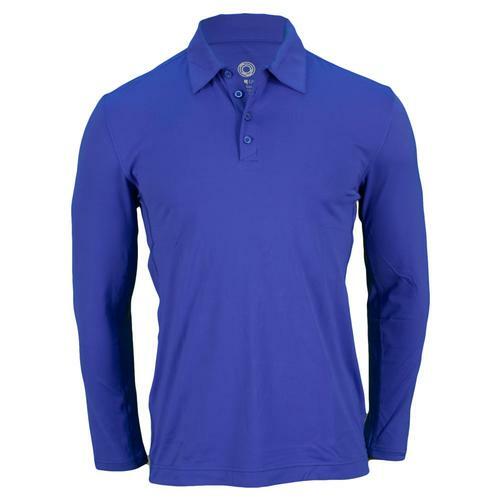 We feature UV Clothing for both Men and Women, along with sunscreen, sunglasses, caps and visors to keep the sun’s harmful rays from damaging your skin. You see, here at Tennis Express, we don’t just sell tennis. We play it, live it, and love it. We personally know tennis pros that have struggled to overcome Melanoma and we know the struggle is real. We’re here to help! Let’s face it: Life is not fair. Otherwise, it would freckle and wrinkle like the rest of us! BloqUV recognizes this injustice and aims to produce clothing for men and women with a minimum of UPF 50 rating. This company tests its clothing with more than 40 launderings and 100 hours of sunlight to ensure that 98% of the sun’s rays are blocked from your skin. The Long Sleeve Polo and Long Sleeve Tennis Tee for Men is a smart choice for guys that forget (or won’t) reapply sunscreen between sets. 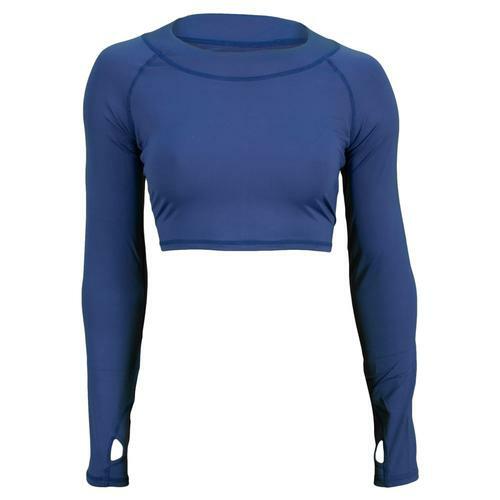 Women have the choice of a Long Sleeve Tee or Crop Top. Both will cover your chest, arms, shoulders and back where sun damage can be the most brutal! To keep your BloqUV clothing in the best condition, machine wash your shirts in cold water and dry on the low setting. Avoid using bleach or washing with towels and cottons. And for goodness sakes, don’t iron them! If you feel like you can’t wear long sleeves in summer, then you’re going to need to apply AND re-apply with the best sunscreen! Mission Sun Defeated SPF 50 Continuous Spray Sunscreen is a great choice for players that prefer the convenience of a spray. Can I just give some advice here? Spray it into the palm of your hands and then apply it to your face. Your eyes will thank me later. Mission is fast drying and is water resistant. It lasts up to 80 minutes, so you’ll probably only re-apply once courtside, which is a big bonus. I’ve recently started using Supergoop’s Everyday Sunscreen with UPF 50, and I couldn’t be happier with the protection. It keeps me from burning, has a pleasant spa-like smell, and doesn’t burn my eyes when I start to sweat. 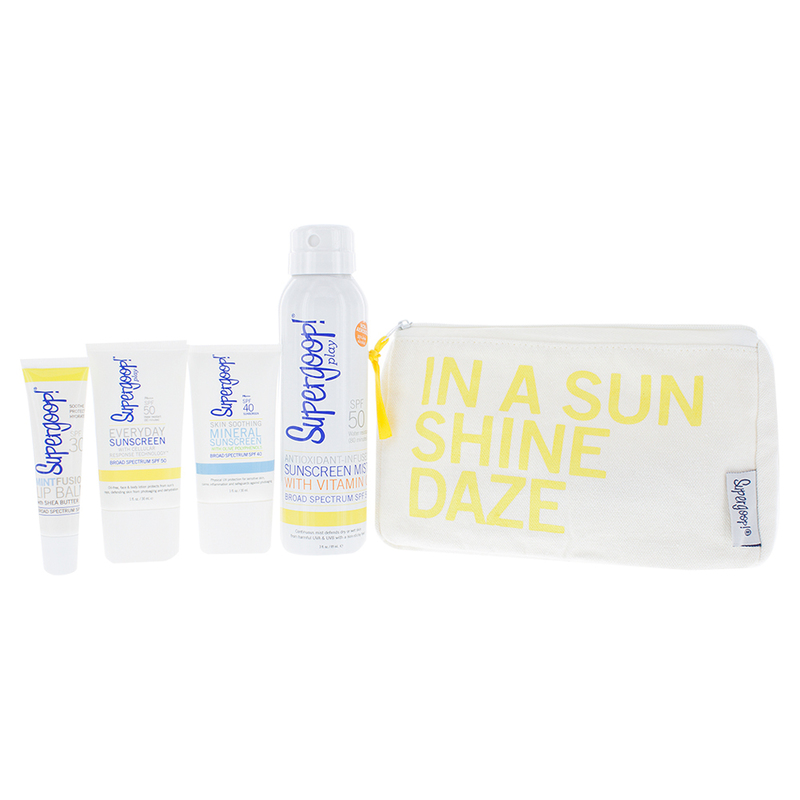 Next on my list to try is the Supergoop Sun Defying Sunscreen Oil. It promises to hydrate and protect with a UPF 50 rating at the same time. In fact, I may try out the Value Set from Supergoop on my next vacation. Everything is travel size for the summer and promises to be full of age-fighting antioxidants. If you’re an indoor player that has to play outdoors occasionally for league play, you’re going to love the Bolle Competivision Sunglass Line. One of the major whines…I mean complaints….I mean observations I hear from a player is, ” My eyes have a hard time adjusting to outdoor play after playing on indoor courts all of the time.” The Bolle Competivision Sunglasses takes away that excuse by blocking out all colors except Optic Yellow and White! This heightens the visibility of the lines and the ball, which is perfect for a tennis player! Bolle offers these UVA/UVB Block sunglasses in a variety of styles suitable for Men and Women. 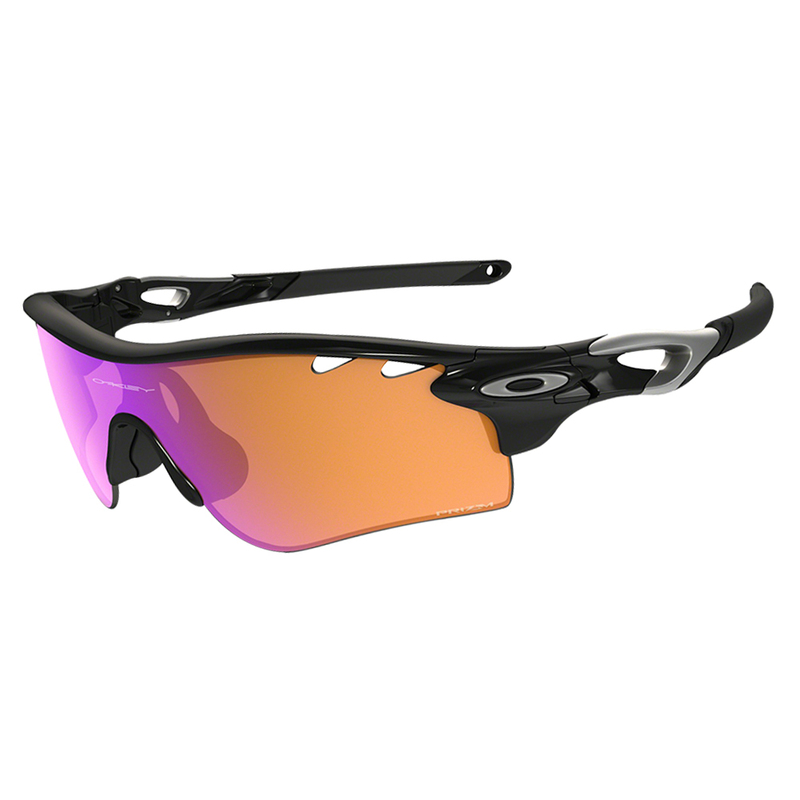 Oakley’s Sunglasses take sun protection a step further by offering the Radarlock Series. Glasses in this line offer protection from 100% of all UVA, UVB, UVC and harmful blue light up to 400nm. In addition, Oakley’s Hydrophobic technology won’t let moisture gain a foothold on the lens. No streaking or fogging to hurt your vision when you need it the most! For those of you serious about protection from the sun, an Adams Cap is the only way to go. This lightweight cap is constructed of UV nylon with ceramic coating. 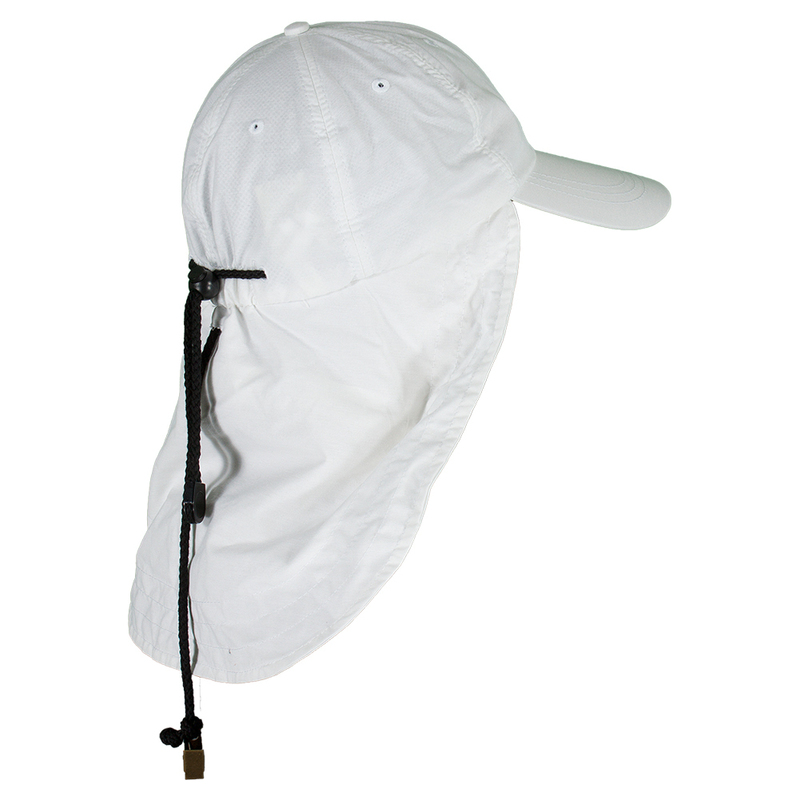 It’s mesh lining and built in terry cloth sweatband keep it breathable, while the neck cape and cord barrel lock closure keep out any harmful rays. This is an all purpose cap that can go from the tennis court to the beach, water park, or fishing boat! Tennis Express also carries a wide variety of caps and visors for men and women that offer varying degrees of protection from UV Rays. Don’t let the sun keep you off the courts this summer season! Fight back with the best UV Protection products from Tennis Express! Now, get out there and PLAY!